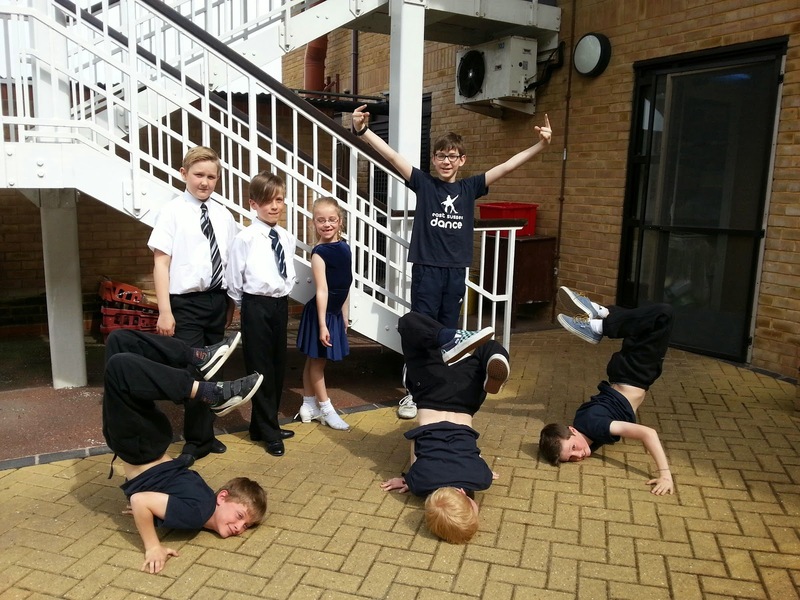 Easter holiday dancing antics - not just in Sussex! The Easter holidays began with a week of private tuition and exam rehearsal classes (in preparation for ISTD dancing exams in Brighton on April 27th) plus Adult Social Ballroom & Latin dance classes running as usual in the evenings. On Saturday 12th April was "The Spring of Youth" at Chequer Mead Theatre, East Grinstead. 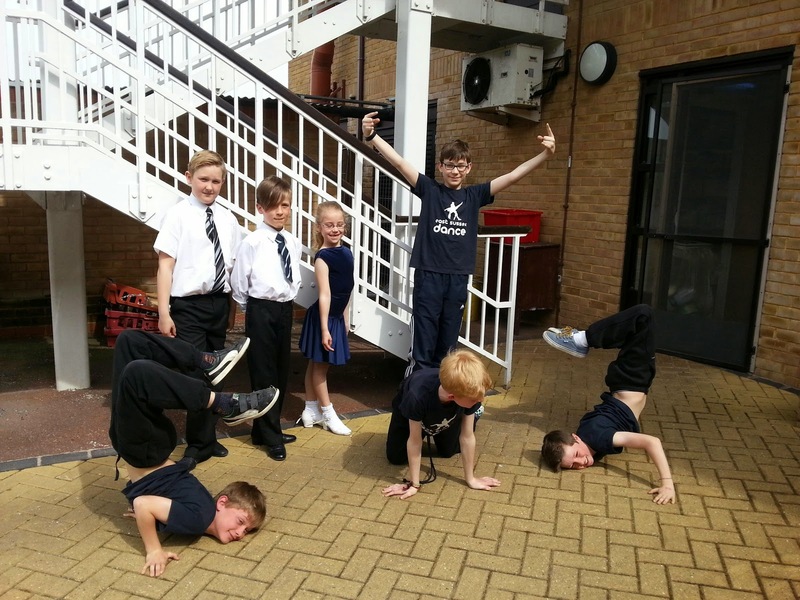 This was an evening performance showcasing different performing arts groups from across East Sussex. 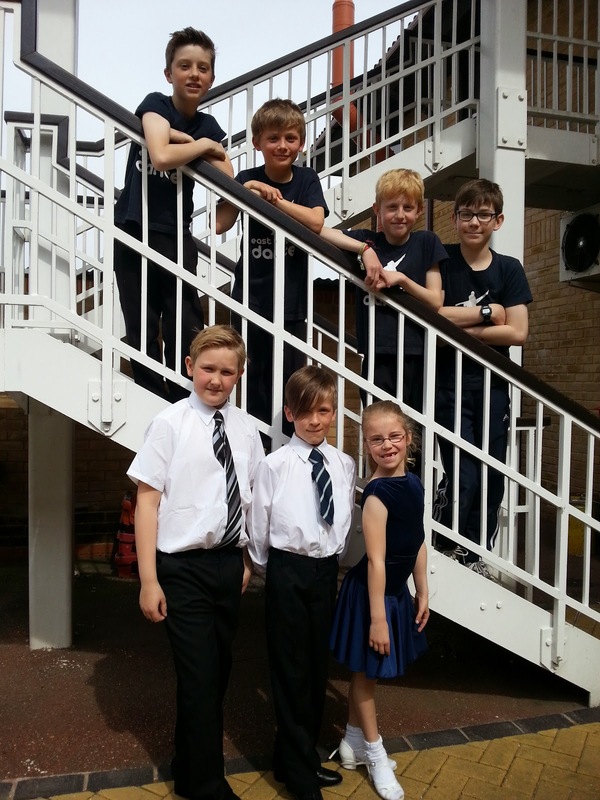 East Sussex Dance had three students invited to perform; Oscar (11) from our Brighton Ballroom class, Camille (12) from our Lewes Ballroom class, and Tessa (16) from our Danehill Ballroom class, who was also involved in several Jazz numbers with Sussex Youth Dance Company. 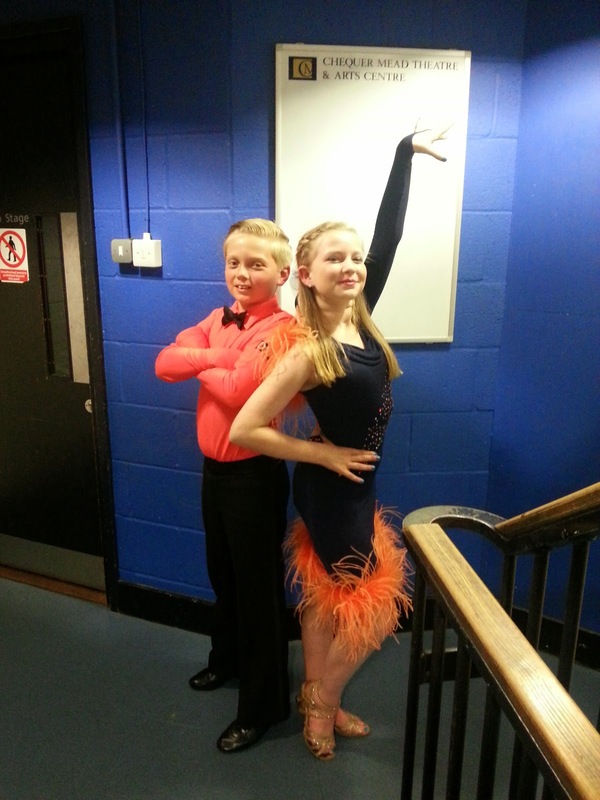 This was Oscar and Camille's first performance together on stage and would be very different to their previous competition dancing experience. Usually there would be another 6-10 couples sharing the competition dance floor but here they had a big stage all to themselves. On the night the kids gave their Jive routine energy and attack as well as projecting and performing to their audience - a job well done. An experienced stage performer, Tessa danced a beautifully presented Tango and expressive Rumba. She managed some very swift costume changes and remained focused and professional throughout the show. Tessa is an elegant dancer who really shone both on stage and off. Thank you Tess! Meanwhile, Alex was on her way to Oxford for her Fitsteps Instructor training course. Fitsteps is the new dance fitness craze sweeping the nation, designed by BBC Strictly Stars Ian Waite and Natalie Lowe. Fitsteps uses the contrasting Ballroom and Latin dance styles to create a balanced workout that will tone, strengthen and increase cardiovascular fitness as well as teaching the basic steps in each dance with style and flair. Fitsteps classes are fun, varied and "Fab-u-lous" so Alex is very excited to be able to teach Fitsteps classes in Brighton and Lewes. It was an intense 9-hour day of gruelling workouts, theory and practical assessments but the fantastic course instructors, great music and quality choreography kept the delegates motivated and excited. Strictly's Ian Waite even dropped in at lunchtime to give everyone some encouragement. 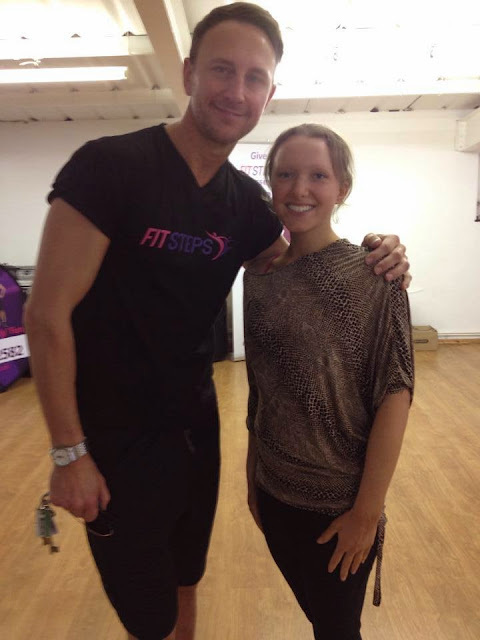 Alex will be launching Fitsteps Brighton at Patcham Community Centre on Wednesday 30th April, 9.30am. Fitsteps Lewes will be on a Thursday at 6.30pm to begin with, start date tbc. On Thursday 16th April a completely different East Sussex Dance fixture was booked in. Six boys and one girl headed over to Eastbourne to entertain the senior citizens at a local care home. After the short performance we were rewarded with lemonade and cupcakes and the residents asked the Lewes Street dance boys to recreate their "baby freeze" (see photo below). Of course the boys were only too happy to oblige! For more information about our classes, visit our website or call Alex on 07901962163. You can also follow us on Facebook, Twitter, Google+ and watch us on YouTube.